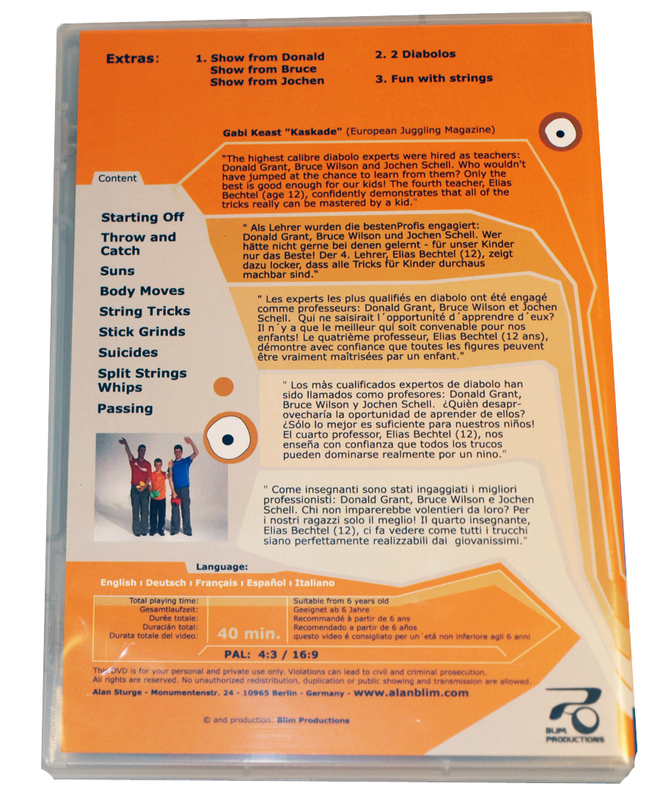 A great DVD for beginner kids and intermediate diabolo enthusiasts! 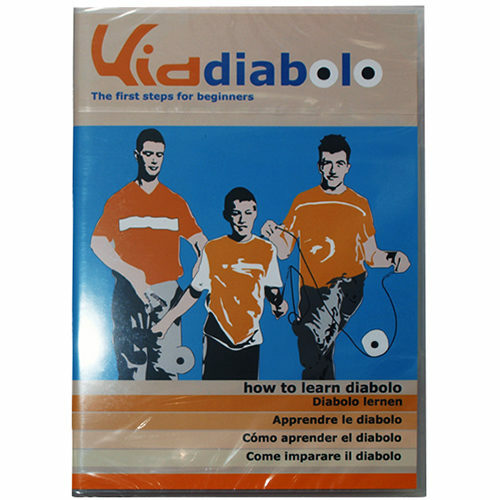 From the makers of Kid jo & Kid Poi DVD now for those wanting to learn the basics and intermediate diabolo skills. The highest calibre diabolo experts were hired as teachers: Donald Grant, Bruce Wilson and Jochen Schell. Who wouldn’t have jumped at the chance to learn from them? The fourth teacher, Elias Bechtel (age 12), confidently demonstrates that all of the tricks really can be mastered by a kid. Language: English, German, French, Spanish, Italian. Total running time: 40 min. Suitable for 6+ years old. PAL format.